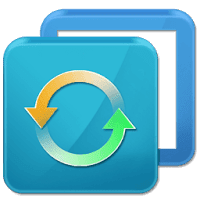 AOMEI Backupper Standard is a free backup and restores software that provides basic and advanced features to ensure the safety of Windows system and data. With this software, you will get ransomware protection for Free. Actually, I will like to only focus on the ransomware protection since in our time, security is very vital and we need to be very careful with what we download and also our activities online. Many Pc users still use local backup on their Windows PC and this requires them to regularly scan their local storage, unlike users who utilize other means like Microsoft OneDrive. AOMEI Backupper Free is here for you with so many features and this software will help protect you against ransomware on your computer. Not only that, as this article title indicates, it is also a backup software for your Pc which will keep a record of all your files and documents to use later in case your Pcc has been affected or corrupted by viruses. The software has easy to use interface and it can be said it was specifically designed for novice becuase of its easy-to-understand options. You can backup any videos or images you love to and restore them whenever you want to. Backupper Free can perform practically any type of backup a software is suppose to have, for example, you can make a Full-system archive, create a scheduled backup or automated backup, and even a disk clone on your Pc, many, more features added.